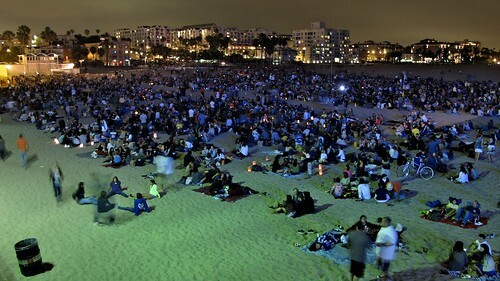 A beach scene at one of the Twilight Concert events I’ve attended in recent years. 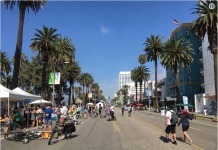 The Santa Monica city council voted to scale back the Twilight Concert series in 2014, due to potential risk factors to public safety outlined by the city manager, the fire chief, and chief of police. 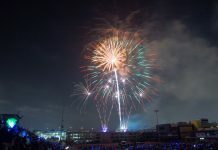 This will include removing the jumbo-tron projector from the beach view, and a shift toward more up and coming acts and fewer big names that draw larger crowds. Personally, I find claims of concern for public safety as justification for scaling back a popular public event, one that has gone on without major incident even as it’s popularity grew, to be dubious. Or puzzling at least, in light of how casually taking any meaningful action on the actual greatest public safety threats is frequently dismissed. When Wilshire Blvd. was racking up traffic deaths in recent years, have we as a city done anything meaningful to reduce the risks of such incidents? No we haven’t. There are certain streets, certain intersections, that we know are overrepresented when it comes to death and serious injury. There are discernible patterns, it’s not just random, it’s systemic. However meaningful action to address these hot spots of injury and death has ranged from underwhelming to nonexistent. Which brings us to one of the central contradictions of our culture, one that I’ve arrived at contemplating, but have trouble fully understanding. That being the manner in which we value human lives very differently in different contexts. There is an unspoken relativity to public safety goals, and to the valuing of lives, that most of us probably prefer not to admit. Particularly in regards to moving private automobiles around, certain forms of convenience, often as little as seconds of time, are often valued above the risks certain actions impose upon human lives. So when it comes to the concert series, a political consensus within city leadership, if not the broader public (most of those who did show to comment didn’t want event altered), has concluded the event should be downscaled based on potential future risk. Repeatedly fatalities and injuries, of drivers and pedestrians, on Wilshire Blvd. in recent years for example, establishing a known hot spot for risk, has resulted in no immediately discernible city policy changes that I’m aware of to mitigate that risk. In regards to my concerns of safety on our streets, and the hazards created by speedy and reckless driving, I’m not solely indicting city leadership, or the engineers and planners, but it’s a broader cultural value system that has gone down an unethical pathway. The measures most successful at improving safe access for all street users, such as traffic calming, typically receive significant push back, as do many measures that are relatively tame. 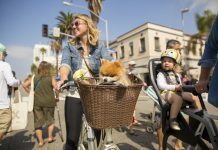 I have to credit the city with a steadfastness to move forward with the bike plan implementation even as complaints often roll in, knowing many who rarely speak up are enjoying the little extra peace of mind. As someone who has personally enjoyed the concert series, most especially the mass picnic like scene at the beach level, I’m disappointed to see that part of the event targeted most of all for being reigned in. But most of all I am disappointed in the bizarre and inconsistent mish mash of values in our society. That we can so often be so fearful and reactionary to theoretical danger in some contexts, and so lackadaisical and permissive about systematic patterns of harm in other contexts. Perhaps most disgustingly, when we value lives less for the sake of facilitating motoring speed to exchange seconds of time savings for some, at the expense of greater risk of harm for all.